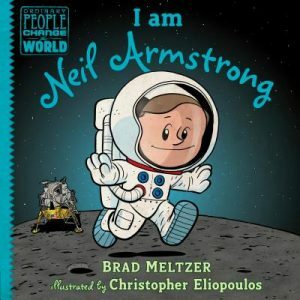 Brad Meltzer is the New York Times bestselling author of Heroes for My Son, Heroes for My Daughter, and a number of suspense novels like The Escape Artist. He is also the host of the History Channel television shows Brad Meltzer’s Decoded and Brad Meltzer’s Lost History (in which he helped find the missing 9/11 flag). He lives in Florida with his wife and their three children. Miami Book Fair’s literacy initiative Read to Learn Books for Free, in partnership with The Children’s Trust, Miami Dade Public Library System, and Books & Books, hosts a free monthly event of for children of readings, music making and arts & crafts at Books & Books. The Reading Circle is free and open to the community. Autograph signing follows the presentation and reading. Organizers request that “gently-used children’s books” be brought to the store and dropped into the Read to Learn Books for Free bin. Donated books stock 55 bookshelves found around Miami-Dade Country– clinics, doctor’s offices, and community service centers- providing every child who visits the shelves a free book to take home.